That's a great idea putting a picture of the shiny thread. Lovely baubles and they look even better 'for real'. 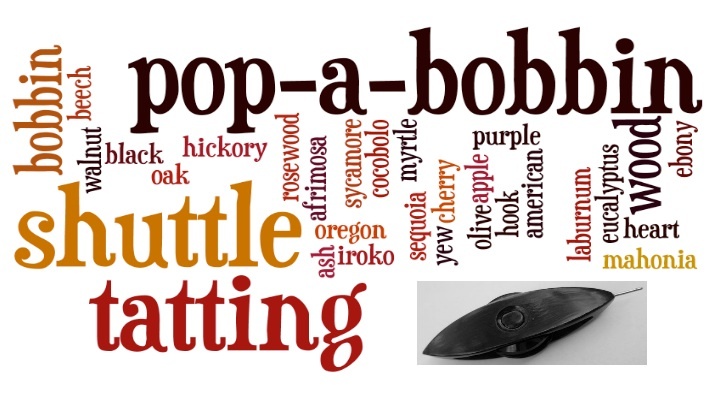 How big it the glass ball you are using? This is really pretty and I love the simplicity of it. TattingChic mixing the threads together can be a bit of a fiddle but well worth it if you are not attempting a large project! Thanks for taking the photo Jane - thats it for pattern writing for a bit! Those are so pretty! I'm going to have to head up to the craft store to buy some small baubles and metalllic thread. Thank you for sharing the pattern with us, Sally. These are so pretty! 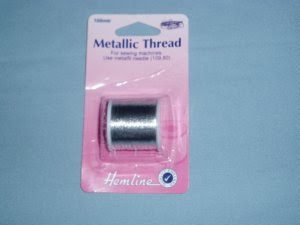 Using size 80 thread with the metallic makes them sparkle - did you use the really tiny "petite" beads with them? Hi Steph, hope you find the baubles and thread, since buying these I've not seen the plain glass ones, but you probably have bigger stores where you are! 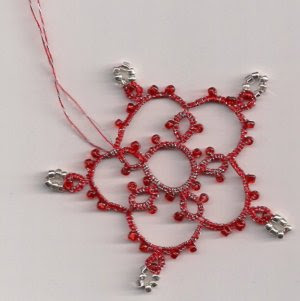 Hi Maureen, no I didn't use the really tiny beads, just the ones that I use for any other bits of tatting, but they worked. All your baubles are fab, am only just catching up with you. Thanks for the patterns. 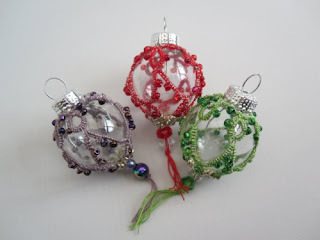 Very lovely Christmas ornaments! Thanks for the patterns. They are so pretty. I will tat my baubles for next Christmas. Thank you for your instruction. Thank you Angeline for your lovely comment, hope you enjoy making them, I see from your blog that you like beads, the work you have done is gorgeous. This maybe the pattern I need to jump start my tatting again. I think I may have some size 80 in white I can try it out on. Thank you for sharing your pattern with me.